Rohit Shekhar, son of ND Tiwari, declared brought dead in Delhi hospital: Doctors at the Max Hospital in Saket declared Rohit Shekhar brought dead at 5.50 pm. South Delhi Deputy Commissioner of Police Vijay Kumar confirmed that ND Tiwari's son Rohit Shekhar Tiwari was declared dead at Max Hospital in Saket. Both Rohit and ND Tiwari had joined BJP in 2017. Rohit Tiwari, son of ND Tiwari dies: Rohit Shekhar, the son of former Uttarakhand and Uttar Pradesh chief minister Narayan Dutt Tiwari, died on Tuesday in suspicious circumstances. He was 39. Doctors at the Max Hospital in Saket declared him brought dead at 5.50 pm. South Delhi Deputy Commissioner of Police Vijay Kumar confirmed that ND Tiwari’s son Rohit Shekhar Tiwari was declared dead at Max Hospital in Saket. Rohit Shekhar lived in Defence Colony in the city and had been brought to the hospital by his mother and wife. ND Tiwari died on October 18, 2018, which was also his birthday. 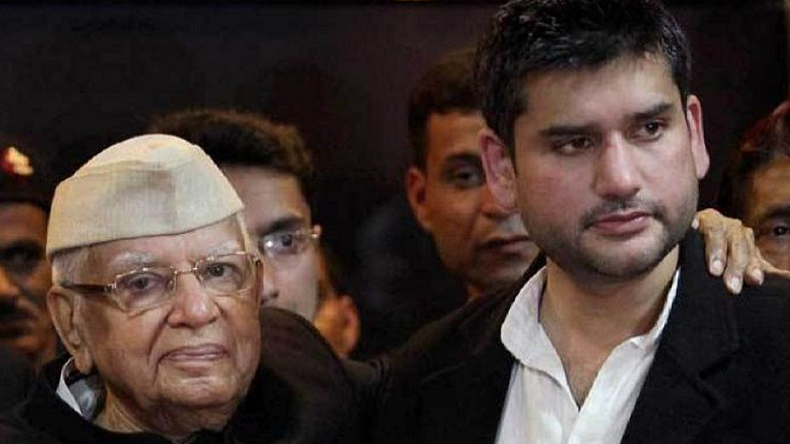 Rohit Shekhar waged a long paternity suit against Tiwari for him to be accepted as the son of the late Congress leader. Rohit, a lawyer, practised in the Supreme Court and got married last year. In 2008, Rohit Shekhar filed a lawsuit claiming ND Tiwari to be his biological father. After this, the court ordered Tiwari’s DNA mapping. On July 27, 2012, the Delhi High Court dismissed the appeal of ND Tiwari to keep a DNA test to establish his paternity a secret. The court on perusing the DNA test declared ND Tiwari to be the biological father of Rohit Shekhar and Ujjwala Tiwari as his mother. Despite trying to keep a lid on the case, ND Tiwari had said in 2014 that he considered Rohit Shekhar to be his son. He further married Rohit Shekhar’s mother Ujjwala Tiwari at a function in Lucknow on May 14 that year.